Hello my name is Patrick, im a 24 year old student from Germany, i´m living near to Hannover. 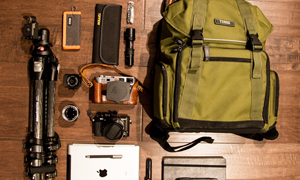 I will tell you something about my way of photography and my gear. 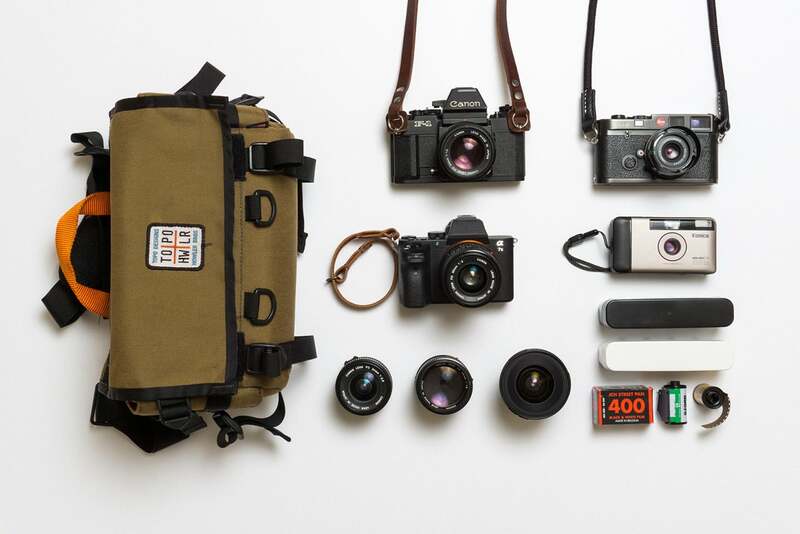 I have some other different bags with different cameras (medium format, large format, digital), so i allways have the right gear for the right kind of photography. 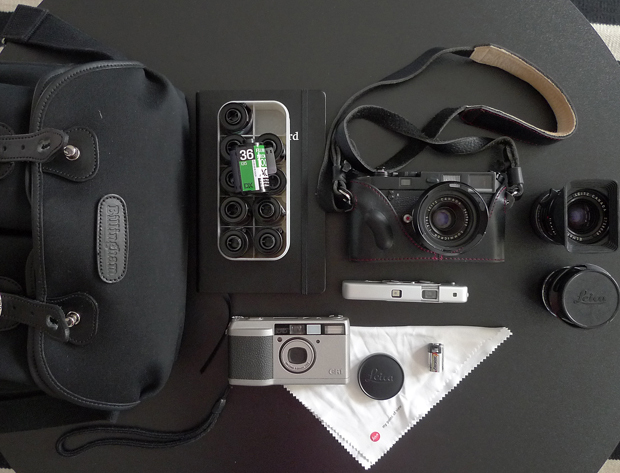 My bag that i´am presting today is my current daily shooting bag. Im using a small black Billingham Hadley bag. 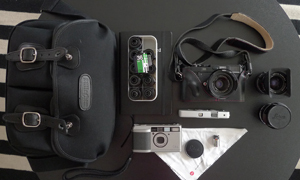 This bag can hold up one Leica M with three lenses, film and some other stuff. 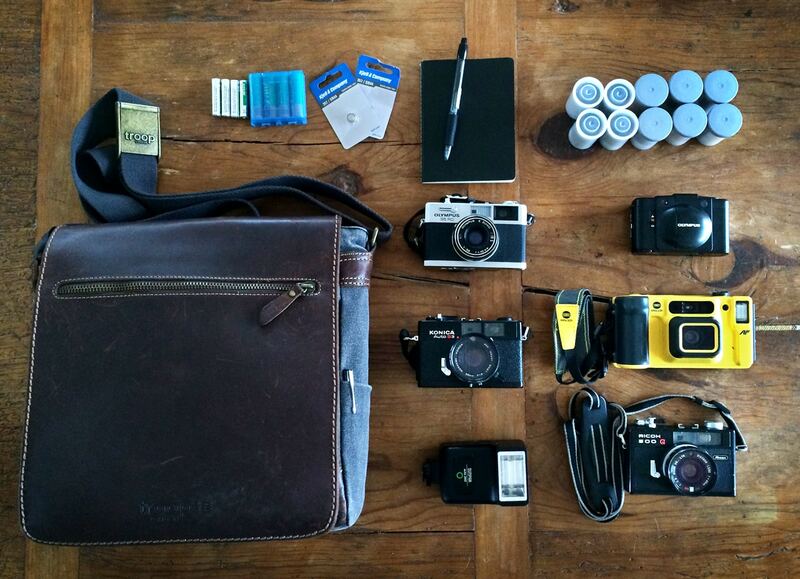 The bag can also hold up a Rolleiflex 2,8 TLR with lightmeter and film. The bag is very versatile, durable, inconspicuously and silent, no rzzzzz sound from a velcro. 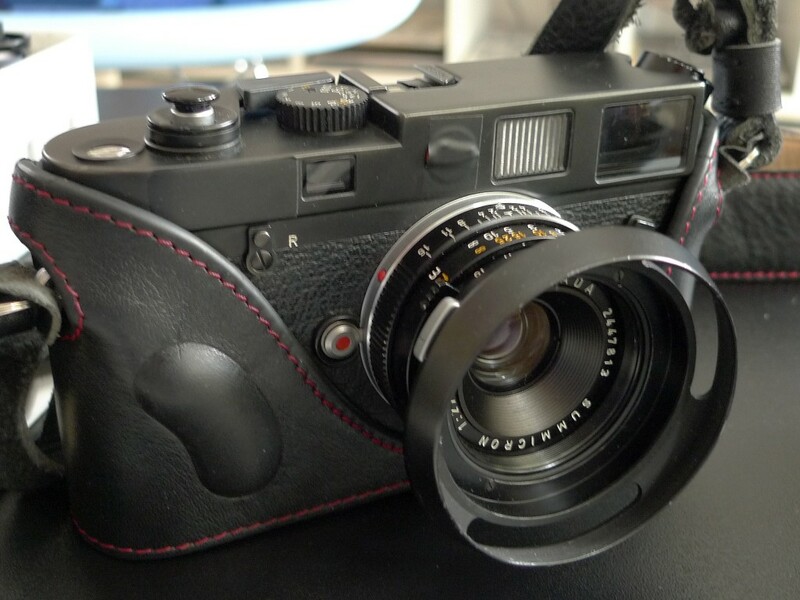 My black Leica M6 Classic with a 35mm Canada Summicron lens (6 Element) in a leather halfcase from Mr. Zhou. The leather strap and a black soft release are also from Mr. Zhou. The halfcase is very important for me, it makes the camera more handily and also a little bit more silent. A 50mm Wetzlar Summicron lens (2.nd version) with a hood. It produces razorsharp images. A 28mm Canada Elmarit lens (2.nd version) als a good very sharp, but very big and heavy (also the lens hood), i call this lens the „dinosaur“. 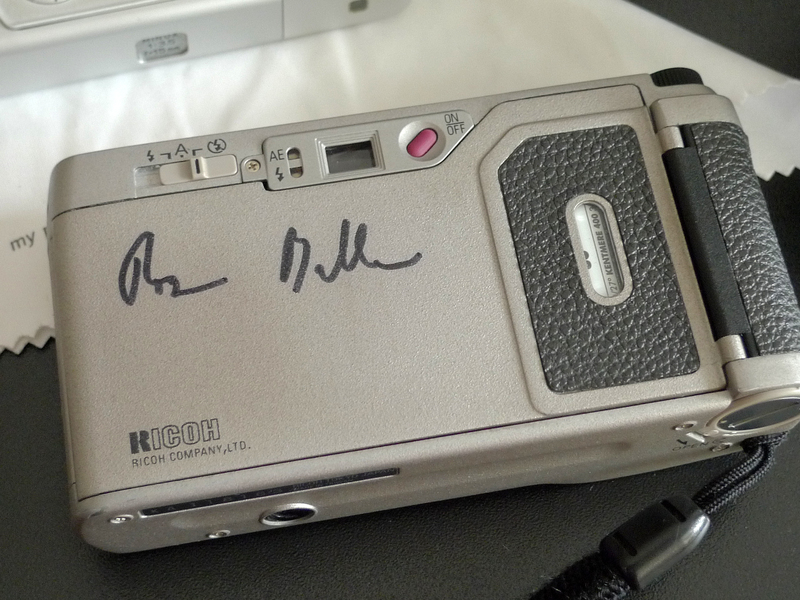 A silver Ricoh GR1 with an autograph from the famous photographer Roger Ballen on it. I have this camera allways in my pocket not in the bag. 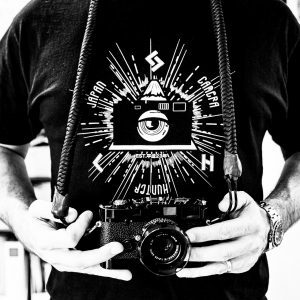 I´m very proud that Roger Ballen had signed my camera, he one of my personal photography heros. A silver Minox BL loaded with some old AGFA film. 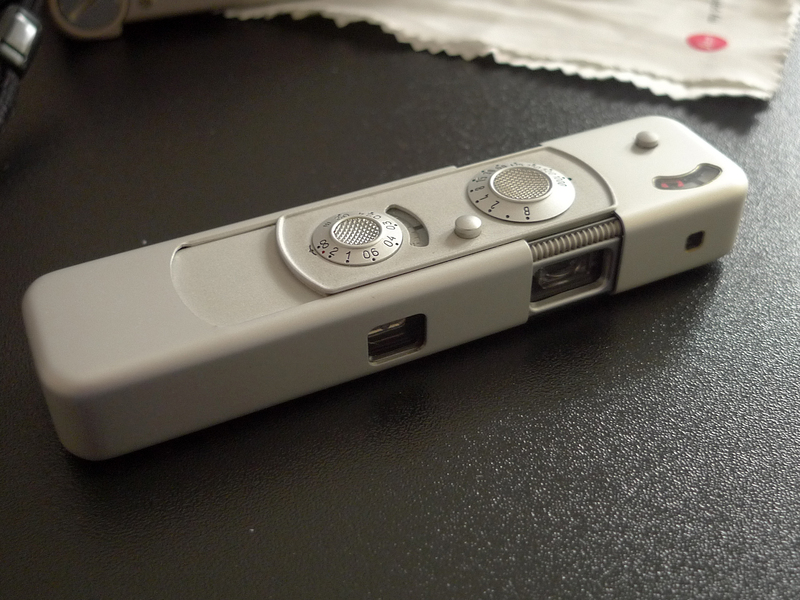 The right camera for very inconspicuously photography. A black notice book with a pencil. 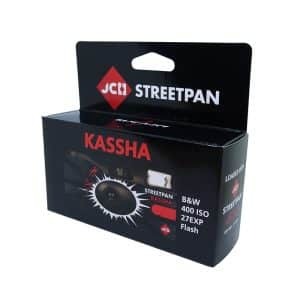 A recerve CR 2 battery for the Ricoh. A Leica lens cleaning cloth. A black 39mm Leica lens cap. 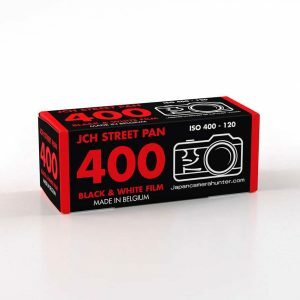 The legendary Fujifilm film case filled with some Neopan SS, Ektar, Pro 400H and Acros. Most times i photograph architecture and structures but also some street. But i allways have not enough time for developing and processing. My way to take photos has changed in the last years, i do more analog then digital, because oft he unique look and of the fact that every picture is an original that was taken and processed with real photography skills, i like the craftmansship behind the picture. Today in Germany the most people are taking pictures with digital cameras, allmost young people. 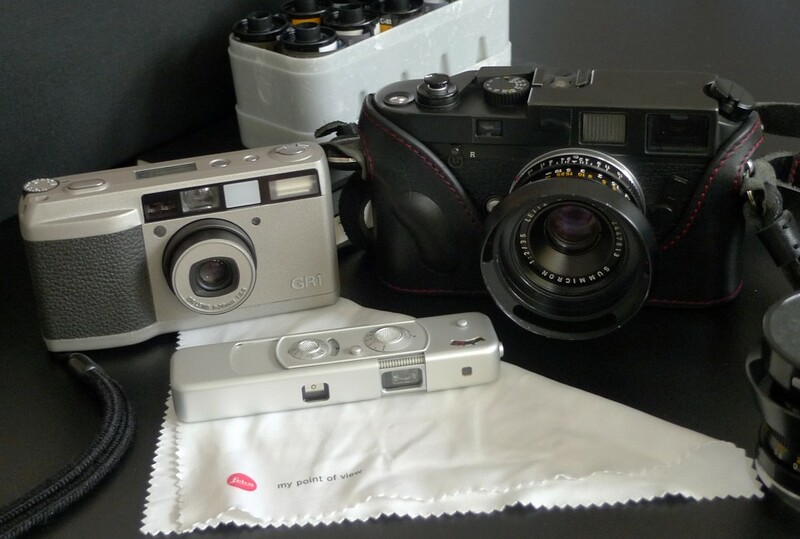 Analog photography is very rare here and the most users of Leica cameras are over 40 years old. When i take pictures with M young people are asking me about my funny looking grandpa camera. 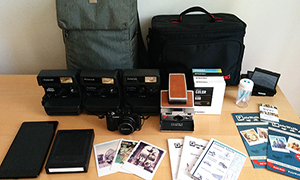 The good thing is in Germany you pic up sometimes high quality gear in very good condition for peanuts, because its analog. I hope you like my bag and my way of photography. Please look at my pictures at flickr. Thanks for sharing your bags Patrick. Great to see a signed camera still being used, many people just put them in a case and forget about them. Check out Patrick’s flickr and make sure you comment. Thank you for the Bag Patrick and Bellamy! 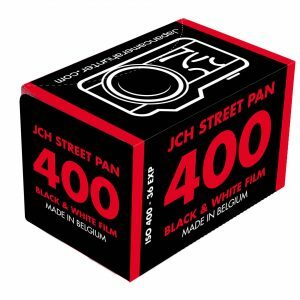 Nice package of analog photography. 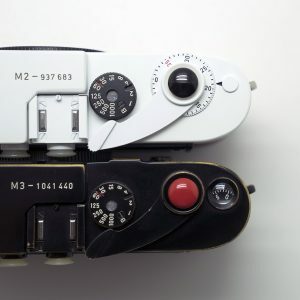 I had the same experience with my Leica as you. Young photographers don’t seem to be Leica users :) Had a first look on your flickr portfolio and it looks very interesting. Have to revisit it again during the next days! Really love those Billingham bags! Funnily enough I recently went to my local camera dealer to definitely buy a ThinkTank Retrospective 5 for my Leica gear but decided I really must have a look at a Billingham Hadley Small first. Head ruled heart and I went away with the Hadley and very happy with it, it just makes so much more sense for my gear and photography. YMMV of course. nice to hear! The bag is really nice! Super Ausrüstung! :) Sag bescheid wenn du mal in Berlin bist, dann können wir ja vielleicht zu zweit fotografieren gehen. Ich bin nächste Woche von Dienstag bis Freitag in Berlin, wäre doch nee geile Sache. Melde dich doch mal bei Flickr mit einer PrivatNachricht bei mir.